Hi football fans. My name is Dan Ford. I’m a high school sport historian living in southern Colorado. You can email me at dford1600@gmail.com. 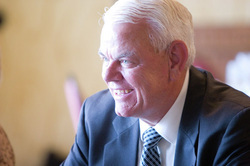 I graduated from Aztec High School, New Mexico in 1966. By 1977 I was working in Albuquerque and drifted over to the UNM library to look up some scores for a retiring coach of mine. One thing led to another and I have been keeping football records of the Land of Enchantment ever since. I probably have the most comprehensive volume of records on New Mexico high school football anywhere. I retired after a 44 year banking career in 2014. It took me to several Colorado towns, Albuquerque and even to Alaska during the 1980s. During those travels I have always satisfied my curiosity about the state or communities by researching the sports history of the area. I have published books that can be purchased through Amazon.com, or, conveniently, on this website below. They are titled "The History of New Mexico High School Football". Volume I is a 200-page narrative on the history of the sport dating back to 1892 and concluding with the 100th anniversary in 1991. Annually I update subsequent volumes (beginning in 2011 with Volume II) by adding the just-completed football season and other features. These annual volumes have every score of present schools as well as some defunct schools going back to 1950. I have decided not to use the label "Volume" in the future. 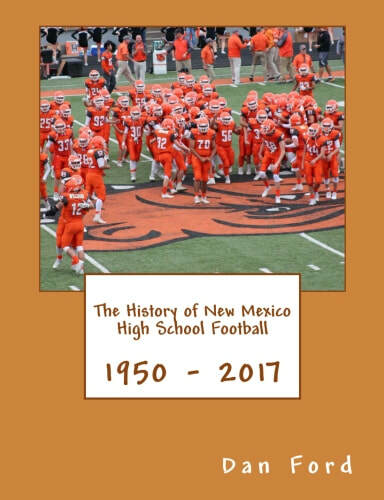 The new edition is simply THE HISTORY OF NEW MEXICO HIGH SCHOOL FOOTBALL -- 1950-2017 and includes all of the 2017 information including pictures from the Artesia Bulldogs and a summary of the 2017 season. 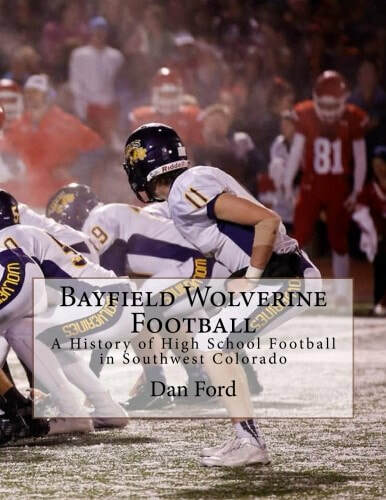 In the Summer of 2017 I published a 63-page booklet on Bayfield, CO football and Durango, CO football. I spent much of my winter gathering data at the Durango Library which is the only place you can find old newspaper copies of local interest and information. The book also includes records for Cortez and Ignacio. Updated 12/29/2017: The History of New Mexico High School Football - (1950-2017) is the latest volume includes all scores for the 2017 season including the 12/2/176 championship games. The cost is $17.95 plus shipping. This publication contains over 90 photographs, some never before published. Stories of every year fill this 200-page volume highlighting the coaches, small towns, and events as reported in newspapers across the state. It sells for $14.95.